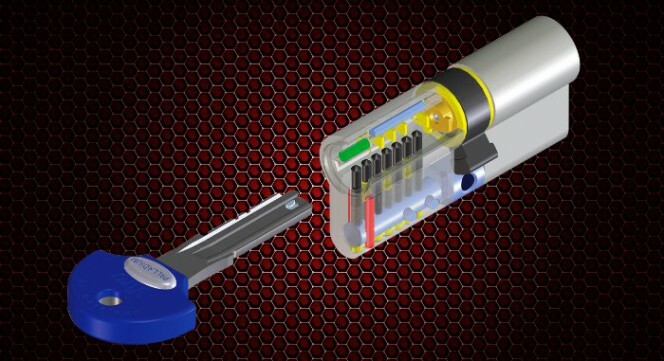 After seeing in the first two articles the features which allow European cylinders to withstand brute force attacks, which are the most frequent types of attack, let us now begin to see how a European profile cylinder should be made to withstand opening by lock picking, which is less common, but more insidious. Opening locks by means of dexterity, although in absolute terms less frequent than with brute force, is more subtle, because it is fairly quiet and often does not leave any signs. There are also cylinders with a different type of operation, in which the key activates, for example, discs and/or magnets, and we will look at these in a forthcoming blog. 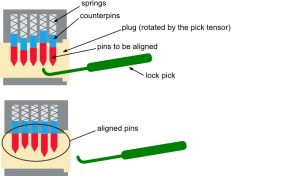 In order to open a cylinder with a tensor and lock pick, one attempts to move one piston after the next with the pick, so as to reach the opening position, while the tensor keeps the plug under the effect of a slight rotation. This operation is obviously much more difficult the more pins there are and the more varied their arrangement is, on different axes. The greater the number of heights used by each piston and the smaller the difference is between two different heights then the greater is the sensitivity and ability required to find the correct height with the lock pick. 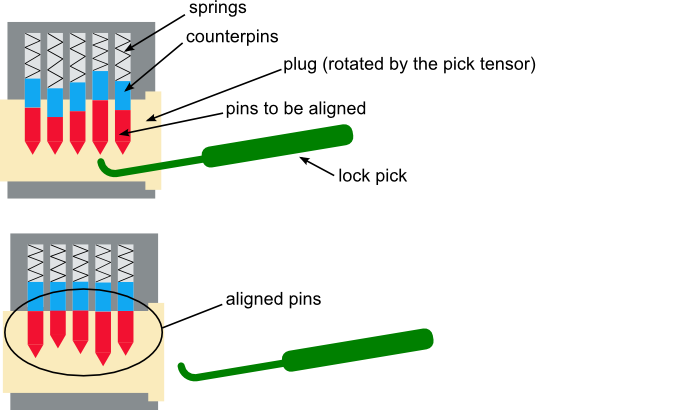 The alternation of several heights of pins, which are different from each other, makes it harder to use the lock pick. Once again, despite the apparent similarity, European profile cylinders can be very different from each other. 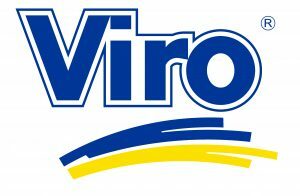 When choosing a product it therefore important to understand what the demands must be satisfied and, consequently, what features it must possess. High security cylinders, which can withstand lock picking, as well as brute force attacks, are typically used on entrance doors, whilst for internal doors or accesses which can still be passed through in other ways (such as pedestrian garden gates), preference is given to simpler, cheaper and sturdy models.